There was considerable soul searching over the title for this article. Initially it was to be entitled “B— S— at NYP Headquarters”, but I felt the NYE, being a quality publication, could not stoop to profanity in an article. Then it was to be “BS at NYP Headquarters”, but that wasn’t catchy enough. Eventually I settled on “Bravo Sierra at NYP Headquarters” being a play on the title of a TV Series “Juliet Bravo”, which ran from 1980 – 1985. 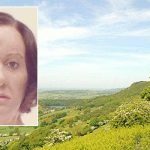 It depicted a female police inspector whose radio call sign was Juliet Bravo, leading a group of male officers in a fictional town in Lancashire in 1980. This culminates in the three individual pillars being amalgamated into the 2017 Annual PEEL Assessment. I revealed exclusively in the NYE that there has been a serious decline in performance in North Yorkshire Police since 2016. In 2016, only one of the ten PEEL questions was rated “Requires Improvement” and the force was rated “Good” in all three pillars. In 2017, five of the ten PEEL questions was rated “Requires Improvement” and the force was rated “Requires Improvement” in one of the three pillars. The NYP CDI inspection (Report here) was completed two months after the inspection was completed, so the impact was not included in the 2017 PEEL Effectiveness Report. Had it been then the “Preventing crime and tackling anti-social behaviour” question would have been downgraded from “Good” to “Inadequate”. This would have graded six out of eleven categories where the performance of NYP was below standard. The overall performance of the force for 2017 would probably have been downgraded from “Good” to “Requires Improvement”. This is a matter for serious concern. 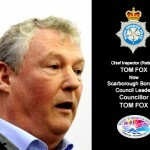 Yet there is no mention of this in the Police & Crime Commissioner for North Yorkshire’s website or the NYP website. 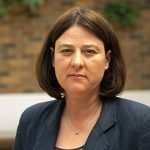 Being concerned at this omission and taking the PCC at her word, I decided to put three questions to her for the Public Accountability Meeting held on the 24th of April 2018. I settled down to watch, secure in the knowledge and hope that the PCC would discuss why NYP was assessed as “Inadequate” in more than half of the categories in the PEEL Annual Assessment. 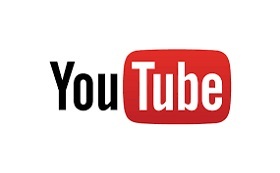 Commendably, the meeting is open to the public to view and the video is below. You can use this photo sheet to identify who is speaking. My first impression was unfavourable. I was immediately struck by the informal appearance of many of the delegates. This is a very important formal meeting and is the equivalent of a civilian Board meeting. 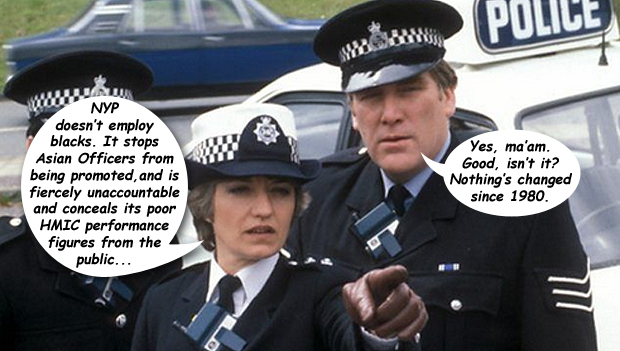 It is where the PCC holds NYP to account and scrutinises its performance. It is held publicly live via video. Yet the three serving police officers present were not wearing tunics, shirts and ties, they were in working dress, or civilian clothes. The PCCNY Policy and Scrutiny Manager Mr Thomas Thorp did not even wear a suit. This indicates a certain lack of formality, credibility and interest in the proceedings. PCC Mulligan’s response to my questions can be seen on the video recording between 2:10 and 4:20. I watched the entire meeting and at the end of it I was dissatisfied with the PCC Mulligan’s response – or lack of it – to my questions. So I wrote to her raising the reasons for my dissatisfaction and asking for an answer. I had a prompt and courteous response from Mr Thorp, which is summarised below against each question. Question 1: What is the Police and Crime Commissioner’s response to the fact that the PEEL Annual Assessment for 2017 shows a marked decrease in performance by North Yorkshire Police compared to 2015 and 2016? PCC Mulligan’s response in the meeting: PCC Mulligan stated that the HMICFRS PEEL annual assessment simply amalgamates the three individual assessments into one assessment and there is nothing new there. I was dissatisfied with this response because PCC Mulligan’s statement is factually incorrect. In addition to recording the three individual reports (Efficiency, Effectiveness and Legitimacy), the PEEL annual assessment additionally gives an overall assessment of the force which is missing from the three individual reports. This can then be compared to the prior year’s reports to identify overall trends. 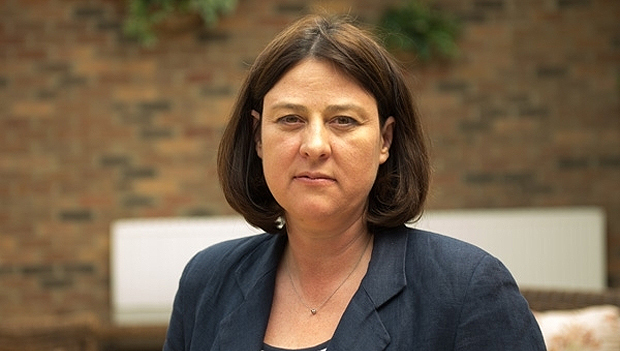 PCC Mulligan has not provided any comment on “the fact that the PEEL Annual Assessment for 2017 shows a marked decrease in performance by North Yorkshire Police compared to 2015 and 2016.” In short PCC Mulligan has very skilfully evaded answering this key question. Question 2: Why has the 2017 PEEL Annual Assessment not been commented on in the North Yorkshire Police website or the Police and Crime Commissioner’s website? 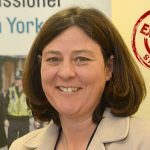 PCC Mulligan’s response in the meeting: Mrs Mulligan commented that all of her comments are on the North Yorkshire Police and Police and Crime Commissioner’s website. I was dissatisfied with this response because PCC Mulligan’s comments relate only to the individual Efficiency, Legitimacy and Effectiveness pillars. The fact that there has been a serious decline in performance overall can only be discerned by looking at the PEEL Annual Assessment, not the individual pillar reports. That is why it is so important that the PCC comments on it. “With regard to your first and second questions, I am afraid that we will have to agree to disagree on this matter. HMICFRS conduct their annual PEEL (Police Effectiveness, Efficiency and Legitimacy) inspections over the course of the year. They bring these, and other inspection reports from that year, together on one webpage which is updated throughout the year as the reports are published. At the end of the year they are, therefore, all available in one place and a media statement is released to that effect. The information, however, is no different to what is in the individual reports, and there is no new grade applied, or new comment given. This is factually incorrect. 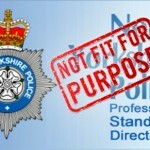 Only the PEEL Annual assessment gives an overall assessment of the performance of North Yorkshire Police and allows overall performance to be assessed against prior years and against other forces. The Annual PEEL Assessment is not shown anywhere on any website and has not been commented on at all by anyone. This is correct. However, by not commenting on the overall trend which is contained only in the Annual PEEL Assessment, PCC Mulligan is evading acknowledging the fact that the overall Annual PEEL Assessment coupled with the results of the HMICFRS CDI Inspection reveals a serious decline in performance in NYP, which has not been released to the public, although the PCC has a duty to do so. It is, in short, being concealed. 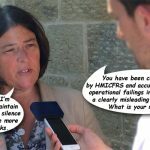 Question 3: Does the Police and Crime Commissioner acknowledge that her statement that the failures identified in the HMICFRS CDI Inspection related to recording and did not impact victims was wrong. During the meeting PCC Mulligan stated she was not sure what the question was all about. Clearly that is not answering the question. PCC Mulligan was obfuscating the question. These were general discussions that were not specific to my question. Having requested questions, PCC Mulligan should have answered them in the section of the agenda they were scheduled for at 2.10 – 4.20 in the meeting. At no point in the meeting does PCC Mulligan address the point that her comments are contradicted by HMICFRS. In the meeting, PCC Mulligan stated that she had responded to all of my correspondence, but I should write in and specify and correspondence that I felt was outstanding. I did this and Mr Thorp wrote back conceding that some of my correspondence was outstanding; thereby confirming that PCC Mulligan’s comments at the meeting were inaccurate. She simply issued a blanket denial of a valid complaint. In 2016, HMICFRS was rated NYP as “Requires Improvement” in only one category. In my opinion this was an acceptable performance level. In 2017, NYP was rated “Requires Improvement” in five categories and if the CDI inspection had been included, six out of eleven categories would have been rated “Requires Improvement” or “Inadequate”. 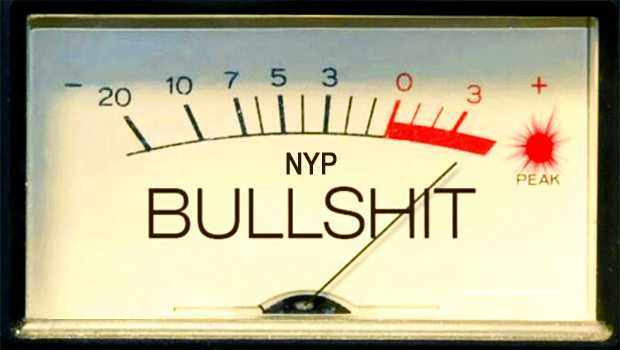 The overall performance of NYP would have been downgraded from “Good” to “Inadequate”. In my opinion this is an unacceptable performance level. The HMICFRS Annual PEEL Assessment is the equivalent of the annual audit for a company. It is the standard by which each police force is judged. The major decline on the performance of North Yorkshire Police over last year should be the no 1 issue for the NYP Senior Command Team and for the Police and Crime Commissioner. Yet there is no mention of this in the Police & Crime Commissioner for North Yorkshire’s website or the NYP website. Nowhere is the issue addressed by any of the great and good present at the meeting; PCC Mulligan did not even question the Chief Constable over this decline. It has been ignored and very skilfully swept under the carpet. 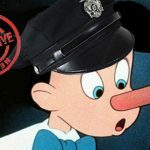 “To my mind the most senior echelons in policing today weren’t police officers at all, they were merely puppets blowing with the prevailing political wind. 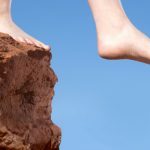 The saying goes that there are lies, damn lies and police statistics, and in our modern-day performance-measurement mind-set you could do quite well for yourself if you played the game”. NYP management were not being held accountable by PCC Mulligan or the Policy and Scrutiny Manager Thomas Thorp, for what is clearly a major decline in operational policing performance. Public questions are being very skilfully evaded and/or ignored. Criticism of the performance of the PCC’s office was met with a blanket denial, when in fact it was accurate. 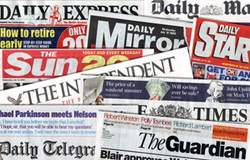 Information which the public has a right to know was supressed, not just at the meeting, but in the statements put out on the NYP and PCC’s websites. Apparently as a coordinated act of policy. In short, the “Public Accountability Meeting” did not hold the police accountable at all. It appears to be Bravo Sierra (B— S—) and a PR opportunity for the PCC. Because it has not been released on the NYP and PCCNY websites, this issue has not been picked up and then covered by the local media. The only organisation that has publicised this issue and held NYP to account is the NYE. 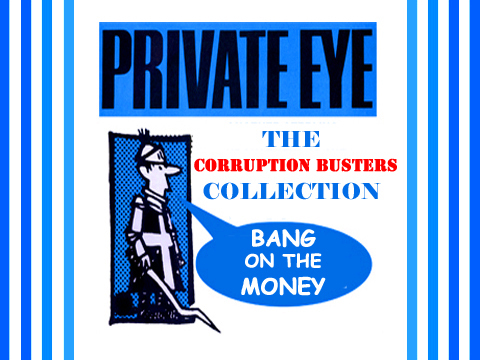 Readers will no doubt ask what is the point of paying thousands of pounds in salaries to a Police and Crime Commissioner and a Policy and Scrutiny Manager, who do not hold the police to account or scrutinise them. 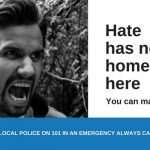 Following on from the remarks of former NYP Chief Superintendent, former Scarborough Mayor and Scarborough Borough Councillor Tom Fox in full Council, that the NYE should expect to be subjected to “Threat and Retaliation”. My article revealing exclusively that the HMIC PEEL Annual Assessment and the CDI Inspection had a serious decline in NYP performance generated some fan mail from NYP Head Quarters. The article (here) went out on the 16th of April 2018. 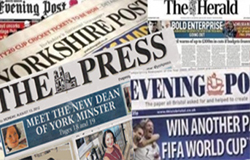 The next day the Chief Constable’s Staff Officer Inspector Alex Butterfield wrote to me on NYP headed paper advising me that “North Yorkshire Police will not respond to requests which relate to any enquiries you make regarding any journalistic enquiries”. Hmmm…..… did my article hit a nerve at NYP HQ? Initially, I was annoyed by this, but then I cheered up. Looking at things positively, I was very flattered. This is proof positive that our many readers include the North Yorkshire Police Command Team; that they pay attention to what we write and respond quickly to our articles.